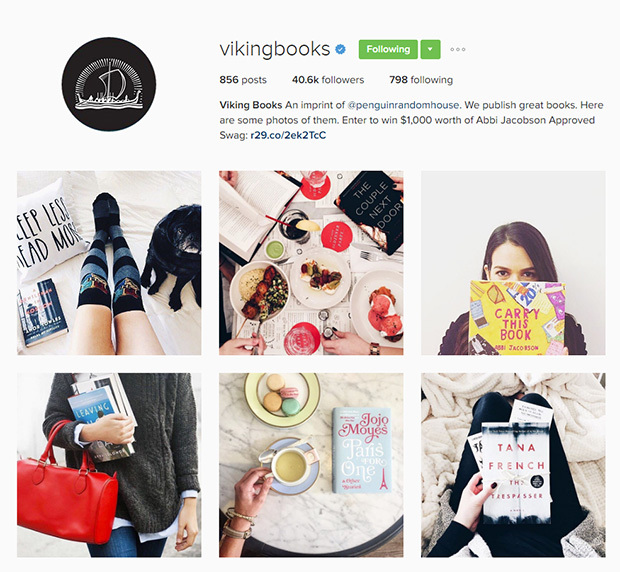 Instagram is where we expect to see awesome imagery, and these 25 magazine and book publishers sure don’t disappoint. They have succeeded in visual marketing, as we can see from their profiles and the large number of followers. They use different strategies and image styles, but a little variety is always inspiring. So check them out, find out why they are worth a follow and feast your eyes! 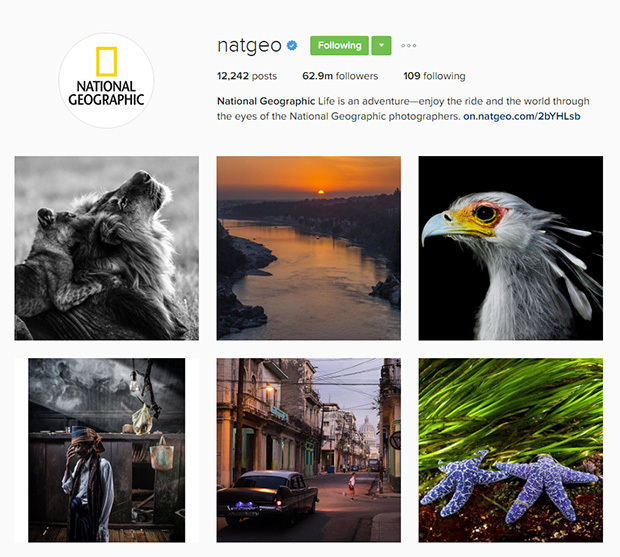 The National Geographic magazine has the largest number of followers of the bunch, with a staggering 63 million. That’s huge for any account, not just for a publisher. They work with some of the best photographers in the world, and their images will often help you rediscover a sense of wonder, and rediscover the mysteries of the world that we live in. There is something magical about the natgeo feed. You will not regret following their account. If you’re more interested in being informed than inspired, this is the right publisher for you! 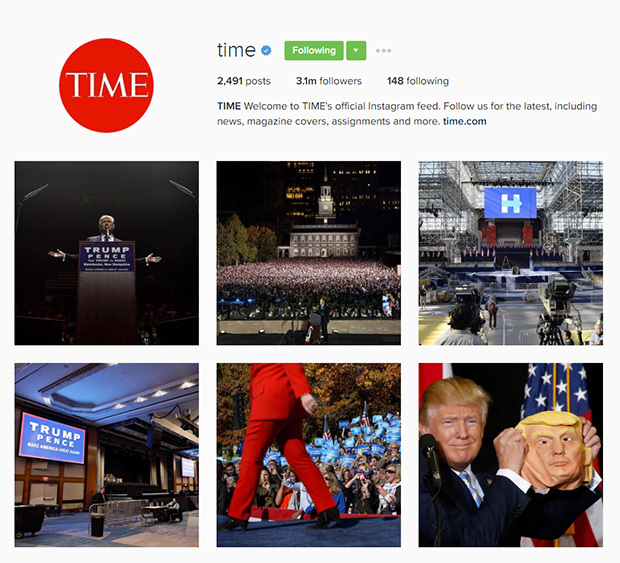 Time takes visual storytelling to the next level, communicating relevant news, political events, reports through high quality photo journalism. The one thing that sets them apart is how they deliver the human, emotional side of a story in most of their images. The image descriptions are always relevant and explanatory, so you can stay in touch with the world through Instagram! 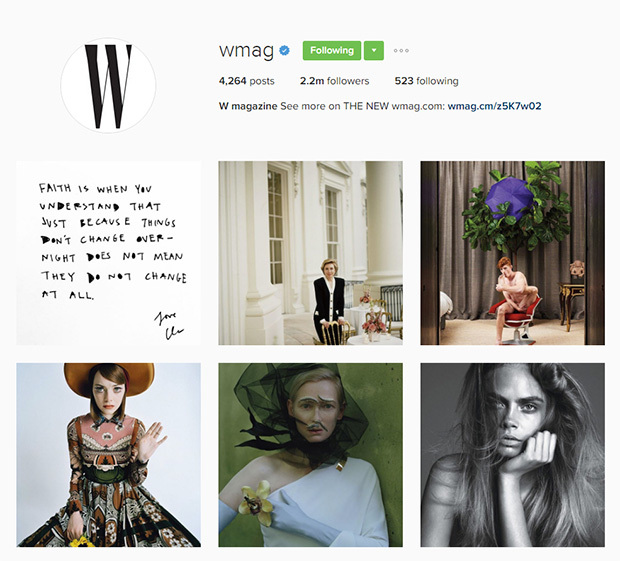 W magazine’s Instagram feed is an eclectic mix of art, fashion and celebrities. It’s bold and it’s different, definitely an escape from the ordinary. For all of you who like the unconventional and love being surprised, this is one of the accounts that you should follow. 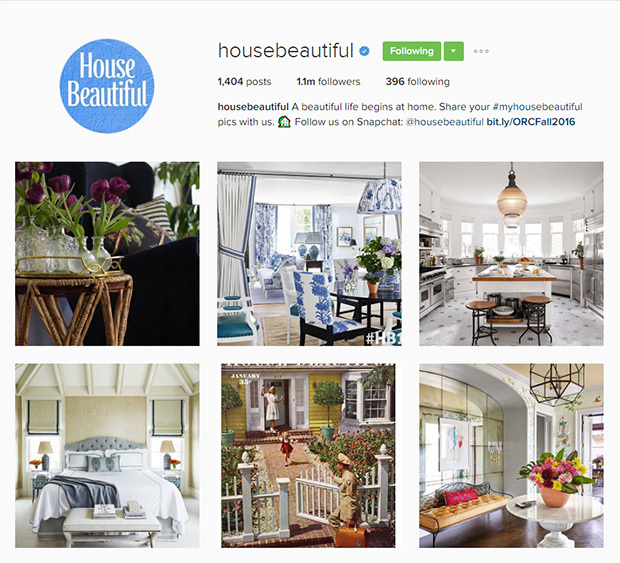 On a similar note, we introduce you to the House Beautiful account. The incredibly stunning photos shared on Instagram are also featured in the digital and printed magazine, but they also use a reposting strategy. 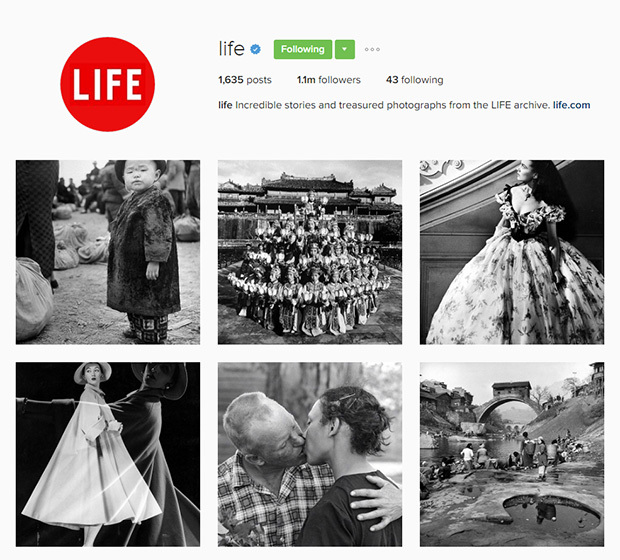 Life is basically another account of the Time magazine, featuring old photos from the life archive. It’s mostly black and white, nostalgic photos, with just a few colored ones. This makes their feed look fascinating and intriguing. For those of you who aren’t familiar with it, Kinfolk is a lifestyle magazine promoting a simple, creative life focused on what matters most: human relationships. 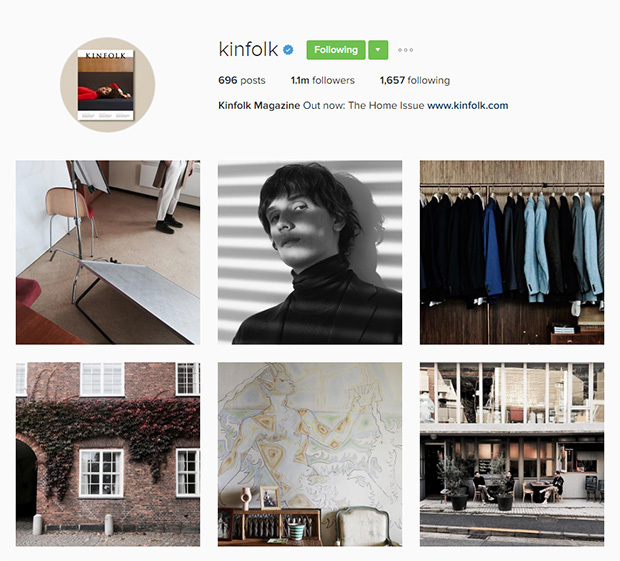 Kinfolk owes its success to their unique minimalistic style, which is very well reflected in their imagery. You can find the same kind of ethereal visuals on their account. 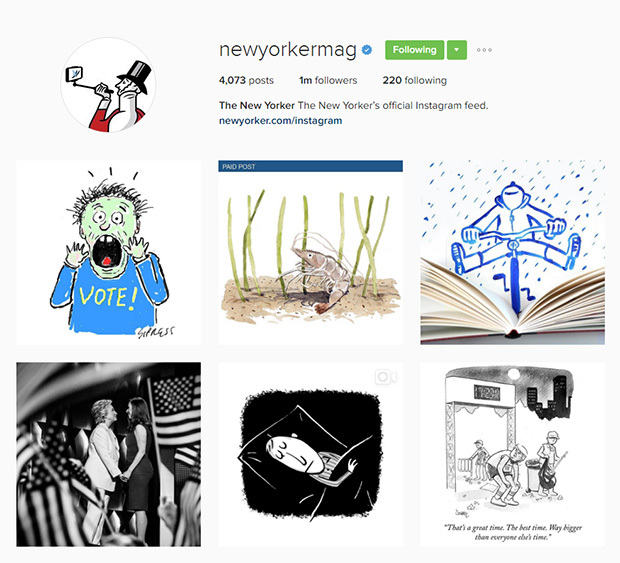 A mix of politics and current events, satire, creativity and illustration, the New Yorker’s account is infotainment at its best. Follow them because they will inspire you and even put a smile on your face, from time to time. 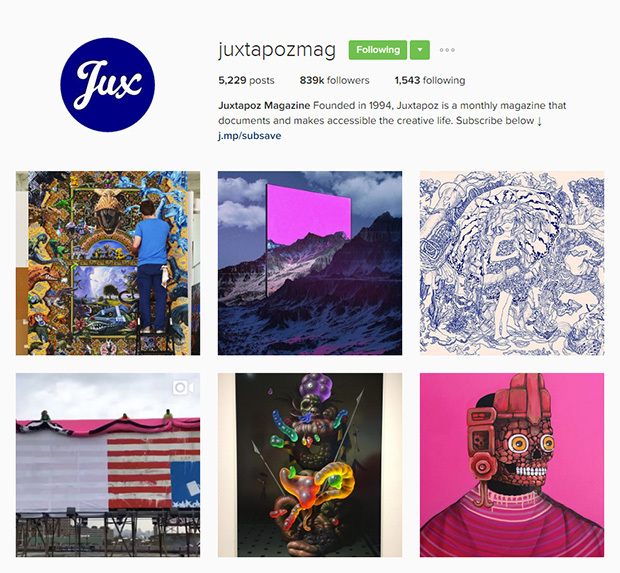 Founded in 1994, Juxtapoz is a monthly magazine that documents the creative life. This means that their posts are very artsy, covering street art, sculpture, paintings, pop life, film and illustration. Check them out if these words are dear to your heart! 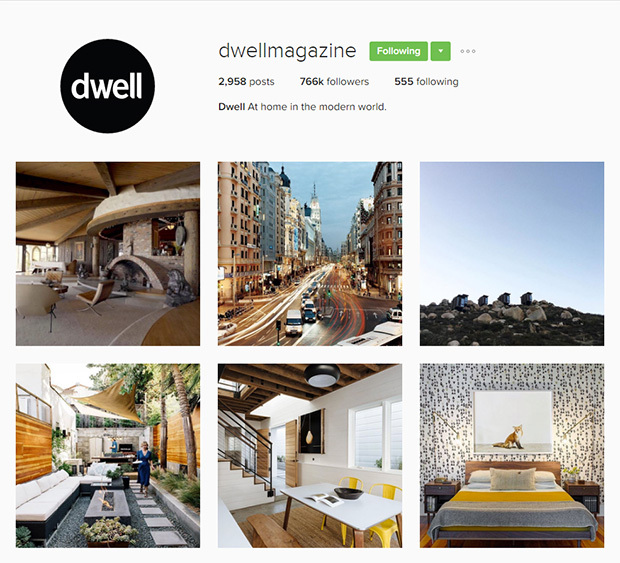 Dwell features modern, contemporary design projects. We’re talking about minimalistic architecture and interior design that’s totally swoon worthy. Their magazine and their Instagram feed deliver award winning photography, as well as countless impressive design and architecture ideas. 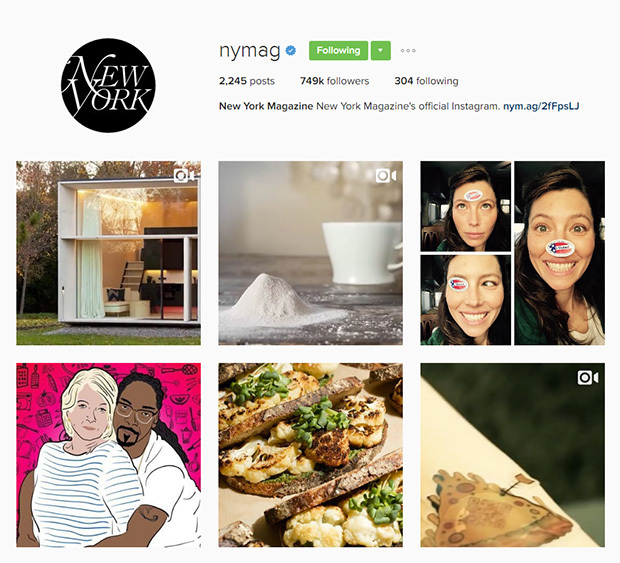 The New York Magazine documents the news, culture, and lifestyle. Their Instagram profile features the same type of content, so it’s for those of you who are using Instagram to keep updated with what’s going on. Love traveling and exploring? 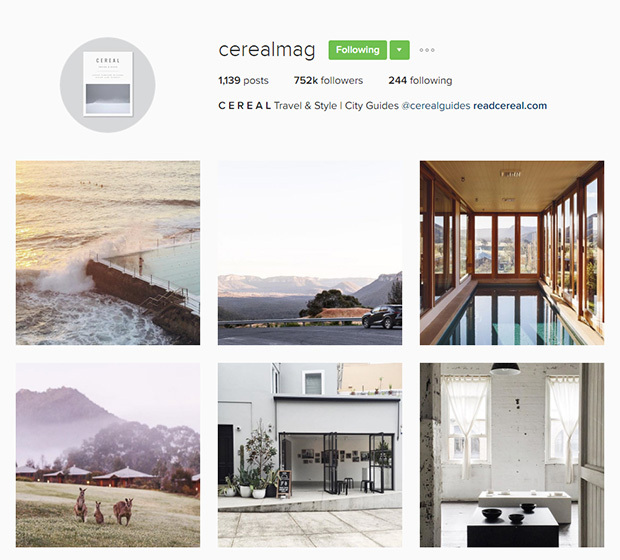 Cereal is a travel and style magazine, which features gorgeous photography of equally awesome places, from all over the world. We love the color palette of their shots and the minimalistic look of the magazine, who appears in many shots. This profile is picture perfect! Wallpaper presents different product and architectural designs, some of which are also present in their magazine. You’ll also see different collages and new issue covers. 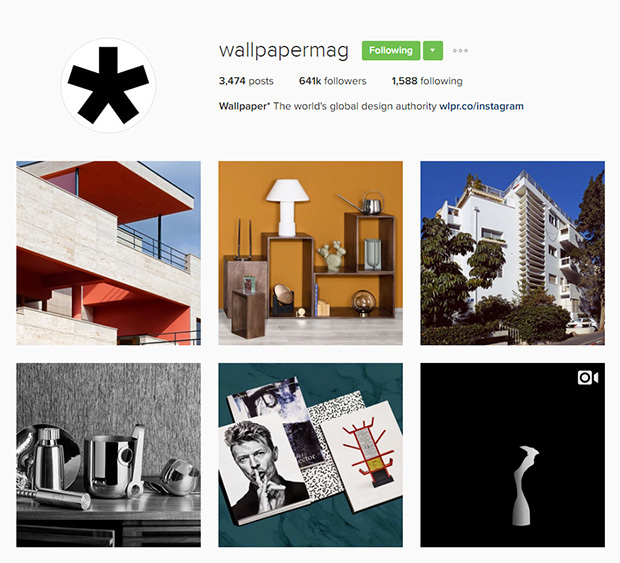 It’s the perfect account to inspire designers. 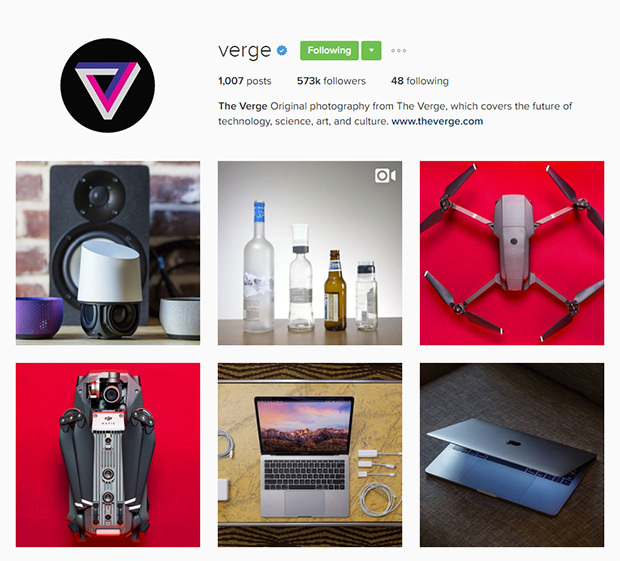 The Verge is dedicated to technology aficionados. This publisher covers the future or technology and science, posting original photography. You should follow them because technology is becoming a mainstream subject. After all, if you’re on Instagram, you already have a piece of technology in your pocket. 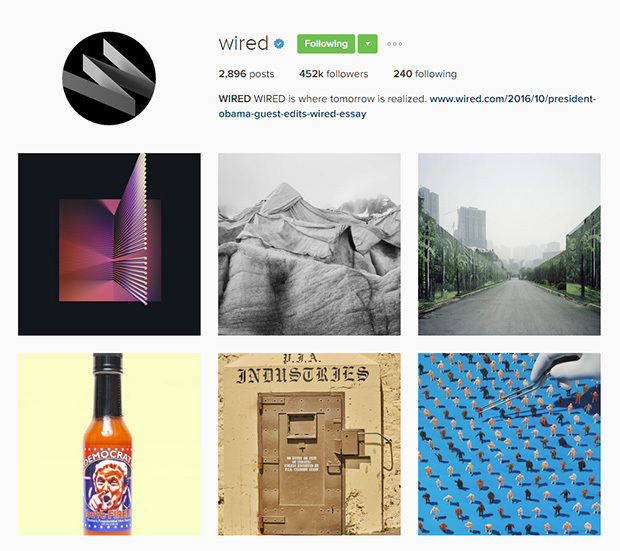 With a stunning IG account, Wired is everything. It’s technology, culture, business, science and design, breakthrough and innovation, all wrapped up in a neat looking package. All their posts are linked to a story from their website/ magazine, so if anyone is interested in reading more on a subject, they can follow the story to their site. 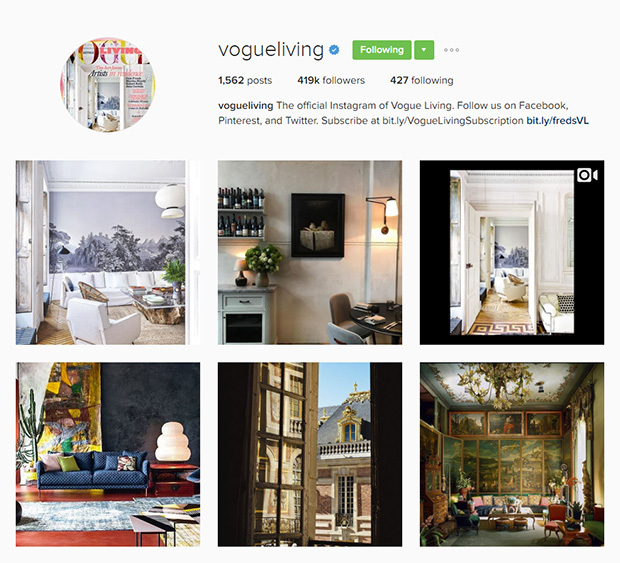 Everything Vogue is quality content, including their decoration issue and Instagram account. You know you want to follow them! Just take a look at their feed, and you’ll see that each post is impeccable. 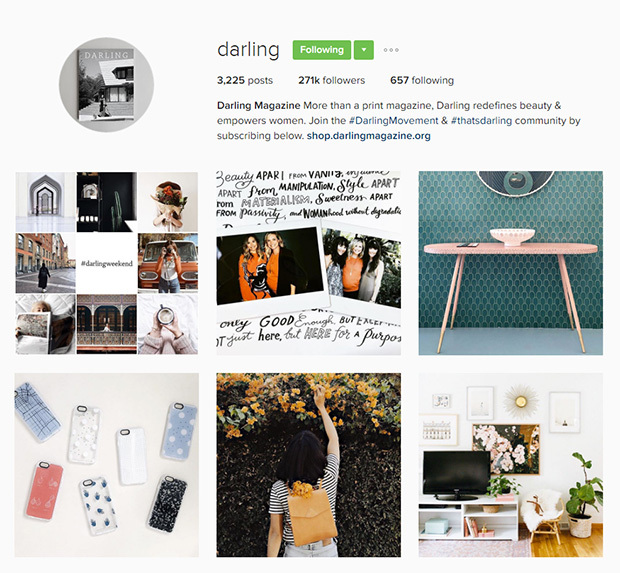 There are at least 2 trending Instagram hashtags that originated with this account: #darlingmovement and #thatsdarling We’re talking about a magazine for women, that’s not limited to fashion and guys. It aims to redefine beauty and empower women. We think they are doing it pretty darn well! Even if I were a guy, I’d still be following them! 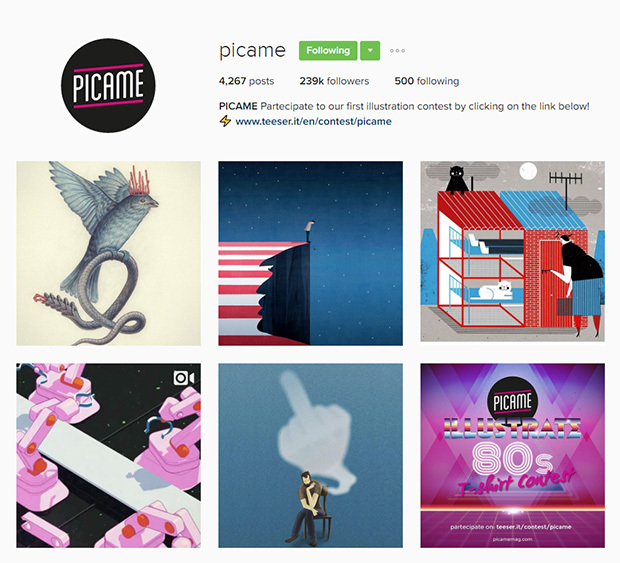 Picame’s motto is “your daily dose of creativity”. If you want that creativity in your Instagram feed, follow them. You’ll see lots of creative projects from various graphic designers: illustration, typography, collages, paintings, animations and more. 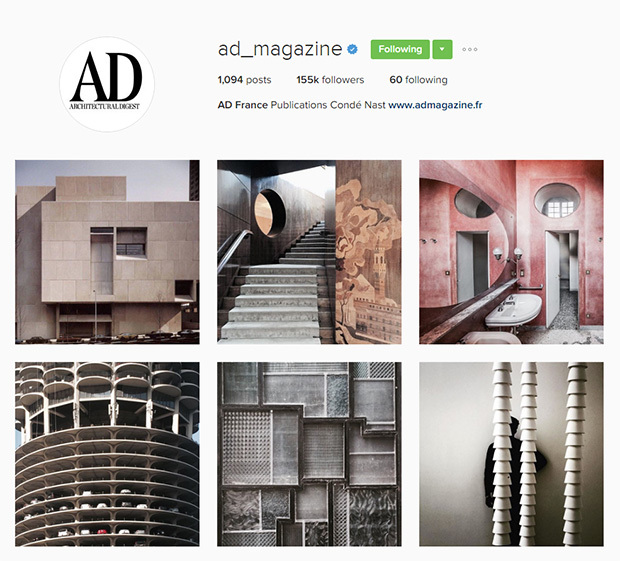 Another architectural design magazine and IG account. 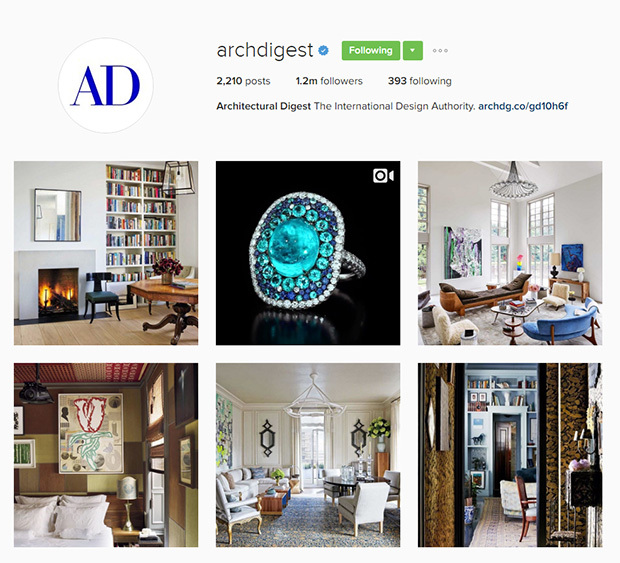 This one is actually the french version of archdigest, so you get more fresh content by following both accounts! 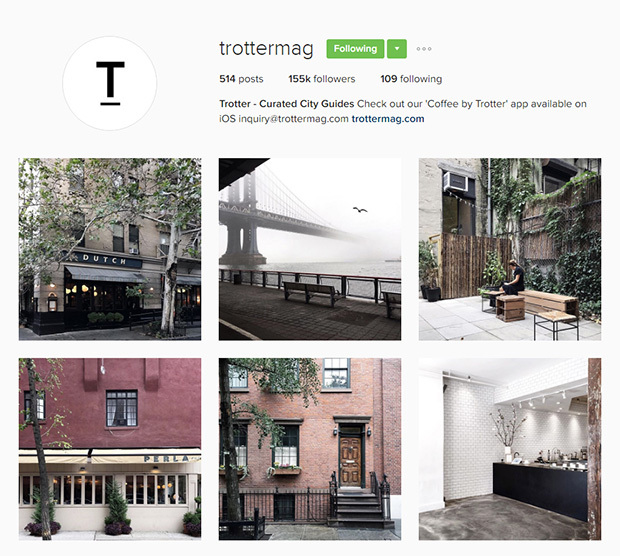 Follow @trottermag because they are all about beautiful destinations and good food. It will put you in vacation mood and help you relax when you open up your Instagram. Who knows, it might even inspire your next trip! 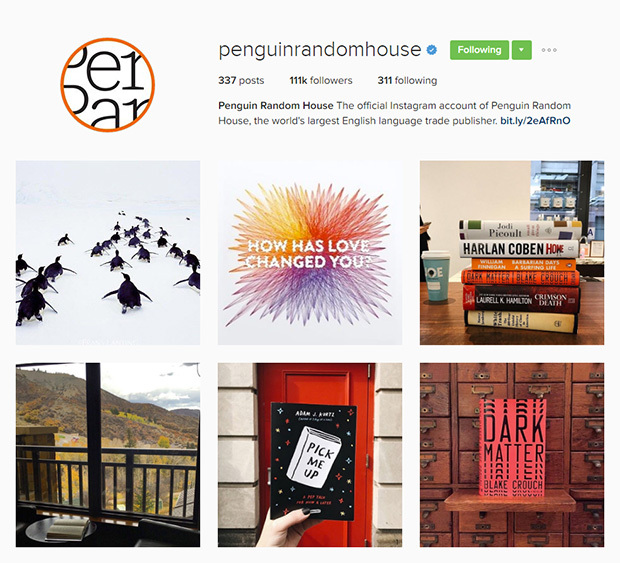 The worlds largest English language trade publisher is on Instagram, and they are doing a great job with their posts. You’ll see penguins, books, book covers and book compositions. We’re loving every single one of them! Great way to promote new titles, too. Do you like reading? It doesn’t really matter what your answer is, because you’ll like this account anyway. 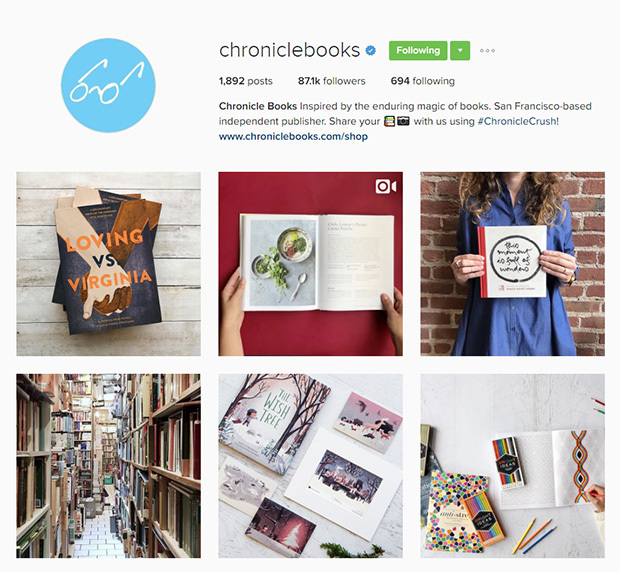 Chronicle books is killing it on Instagram. Their compositions are so beautiful, you’ll end up wanting to buy every book! An inspiring account for all creative people (with lots of layout examples for editorial designers). 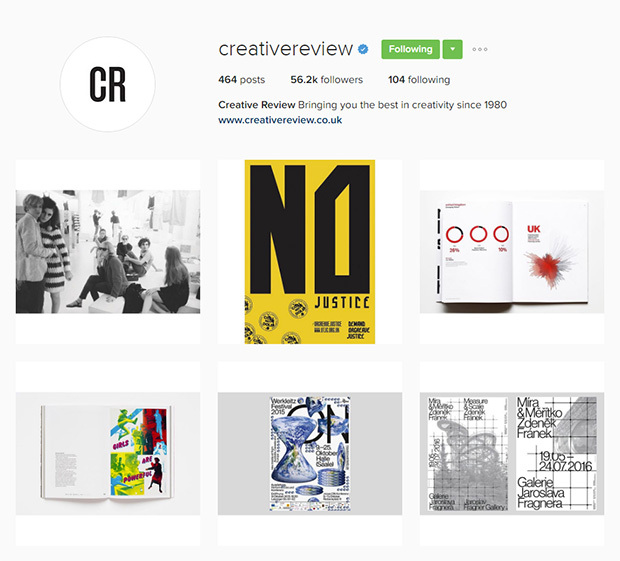 Creative Review is anything but boring, focusing on different aspects of society from one issue to another: food, travel, entertainment, education, fashion. The same diversity can be found on their IG. Books, books, books and pictures of books! It’s heaven for book lovers. The feed informs readers about books they can buy, but they are presented in beautiful, compelling images. This is the last one of the bunch! 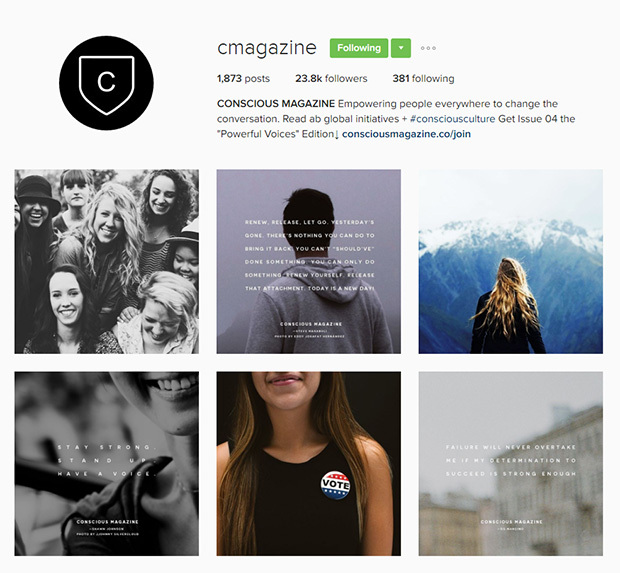 Conscious magazine has the most organized feed, presenting a structured sequence of images and quotes: one image, one quote and so on. Follow them to feel empowered, encouraged and inspired.